As part of its social commitment and desire to promote the emergence and circulation of ideas related to the sustainable development economy, Mirova has decided to endorse Philippe Echaroux. Mirova’s support will allow the artist, behind the concept of street art 2.0, which consists in creating works of art in natural spaces using a projector, to continue to raise awareness of the need to protect the natural environment through his work. A former sportsman and a self-taught photographer, Philippe Echaroux came up with the concept of street-art 2.0, which consists in using a projector to display photos in public spaces. This ephemeral art is inherently respectful of the natural environment since paintings and collages are replaced by light, which means the work disappears without leaving a trace when the light goes out. An environmental activist, Philippe Echaroux has chosen to use his work as an artist to alert the public to the need to coexist with nature. After a world premiere of street art in the heart of the Amazon, he set out on an artistic journey through the alpine glaciers. His latest project uses waste as a backdrop and seeks to show the impact of our civilization on our environment. As part of its social commitment, Mirova, the affiliate of Natixis Investment Managers dedicated to socially responsible investment, is focused on promoting the emergence and dissemination of ideas relating to the sustainable development economy and positive finance. Already a partner in academic research projects and a promoter of written works, Mirova is now sponsoring Philippe Echaroux, testament to its support for committed artistic creation. “We are very proud to be supporting Philippe Echaroux, whose activism is in keeping with our own, and whose works impressed us with their precision and intelligent execution. 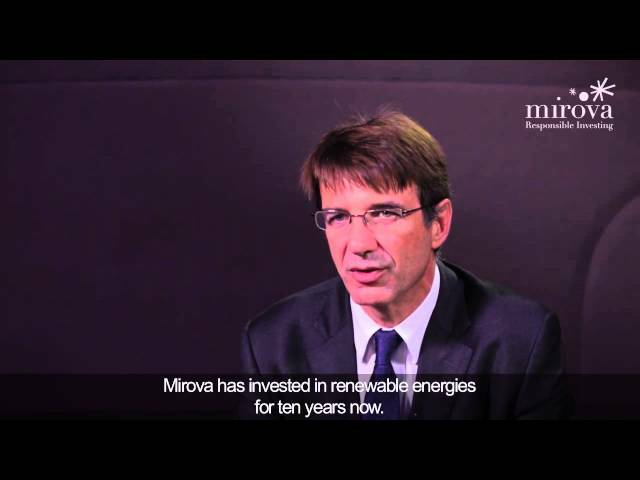 The need to act on climate change has never been more urgent and the more of us who carry this message, each in our own field, the more it will be heard”, added Philippe Zaouati, CEO of Mirova.